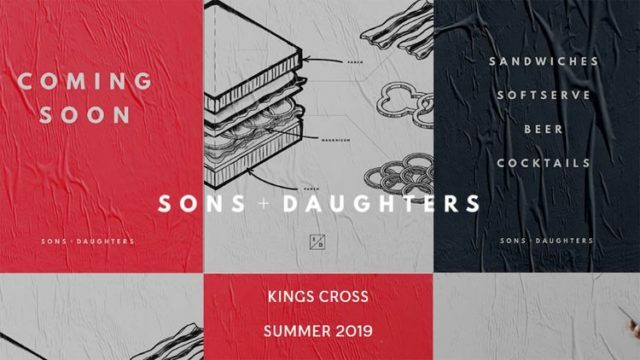 Founders of Asian-inspired Hackney restaurant Pidgin are set to launch a new sandwich, soft serve, craft beer and cocktail shop in King’s Cross development Coal Drop’s Yard this summer, called Sons and Daughters. The eatery will be the third venture to be opened by James Ramsden and Sam Herlihy. The pair opened fine-dining concept Pidgin in 2015, known for its tasting menu which changes weekly, followed by Magpie in Mayfair, which closed last month following issues with footfall. Son and Daughters will join restaurants including Barrafina and Le Café Alain Ducasse at the new food and retail development in King’s Cross. It is rumoured that the team are waiting for an alcohol license application to go through before releasing further details.